While the halal certification processes at abattoirs and manufacturing plants include hygiene and food safety compliance, the Muslim Judicial Council Halal Trust (MJCHT) says it does not have the capacity to conduct regular scientific testing into microbial contamination of food products. This is according to the MJCHT trust director Shaykh Achmat Sedick, in the wake of two processed meat companies being identified as the source of the listeriosis outbreak. 180 people have died as a result of listeriosis since January 2017. On Sunday, Health Minister Aaron Motsoaledi announced that the listeriosis strain, known as ST6, had originated from an Enterprise Foods production facility in Polokwane. A research team also found that several ready-to-eat processed meat products from the Enterprise factory located in Germiston contained an unspecified type of Listeria monocytogenes. It was also discovered that the Rainbow Chicken Limited plant in Wolwehoek in the Free State had produced polony products which tested positive for L monocytogenes, but not in the ST6 strain. A nationwide recall has been conducted, with all the ready-to-eat processed meat items removed from store shelves. 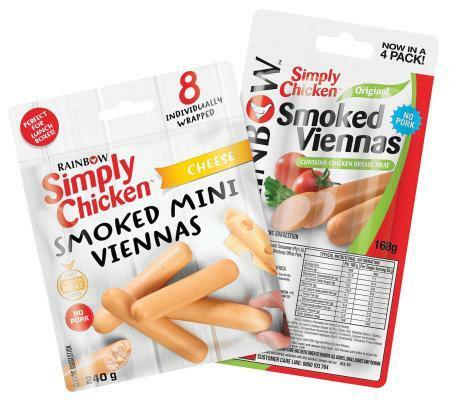 With concerns around Rainbow chicken products in the Western Cape, the Halal Trust confirmed that it certifies five plants of Rainbow Chicken, including three abattoirs in Worcester, Rustenburg and Hammersdale and processing plants in Hammersdale and Sasolburg. Since the issue of listeriosis is not a question of halal or haram, in respect of halal certification standards, it still remains a food safety matter and therefore has relevance to the tay-yib (cleanliness) aspect, which is inextricably related to halal. From a strict halal-compliance perspective, the MJCHT would not of necessity do quality testing for health purposes, thereby detecting potential diseases, germs or microbiological risks and nutritional values. “In terms of the quality processes, halal inspectors would assess the plants on the basis of tay-yib(cleanliness). These aspects include hygiene standards and sanitation processes in place at the plants,” explained Sedick. The role of halal inspectors is to ensure that the standards of cleanliness at these facilities are in accordance with halal norms. Part of the auditing includes taking a sample of the product and sending it for laboratory testing. But this test does not focus on health and hygiene standards, but rather the halal permissibality of the product, added Sedick. The same policy would apply to any imported meat product. The food safety and quality of any product is the responsibility of the relevant South African authorities. “Should the same product be imported as halal under the halal-compliance certification of the MJCHT, the MJCHT stands responsible and accountable only for the halal status of the product and not necessarily the food safety and quality aspects thereof,” Sedick said. Asked about the frequency of quality control testing at Muslim manufacturers of processed foods, Sedick said this would be a costly exercise. The MJCHT can facilitate the quality checking of all processed meats with Tokeid Biotech laboratory in Observatory who will do the necessary testing at a reduced cost. The businesses will have to cover the costs. Tokeid Biotech has signed a Memorandum of Understanding with the MJCHT to ensure that halal food is safe for Muslim consumption. Tokeid Biotech uses sequencing, the same technique used to identify the Listeria strains in this current outbreak, to identify and prevent threats before they harm the public. These technologies allow halal inspectors to screen for all disease-causing bacteria. As for processed meat products, Sedick has cautioned Muslim consumers to heed the advice of the health minister. “I encourage Muslims to decide for themselves if they want to purchase processed meats from Muslim butchers or other outlets until the listeriosis issue is contained and the root cause actually determined. It would be best for the Muslim butchers to test for listerious so as to put the consumer at ease,” sedick continued. Asked if the MJCHT would continue to certify Rainbow processed chicken, Sedick said it would re-assess this based on how the company deals with the current crisis.